Photographer: Richard Lambert's Series "Young Landscape"
Take it for what it is—because there’s beauty in the imperfections. At least that’s what Richard Lambert does. He lets the natural curiosities of instant film pervade his work, revealing idiosyncratic and impressionistic images. Nevertheless, his shots are well balanced and meticulously framed in a classical style of composition. So, why does he try for the perfect shot on such an unpredictable medium? He accepts the flaws as a part of the art—just as beautiful as the shot itself. In Lambert’s series “Young Landscape,” the same discord between perfection and abstraction speaks to the fallibility of one’s memory. Half of the series was shot on a trip to Iceland in August of 2014, during which he proposed to his wife, while the second half was shot a year later during their honeymoon in California. 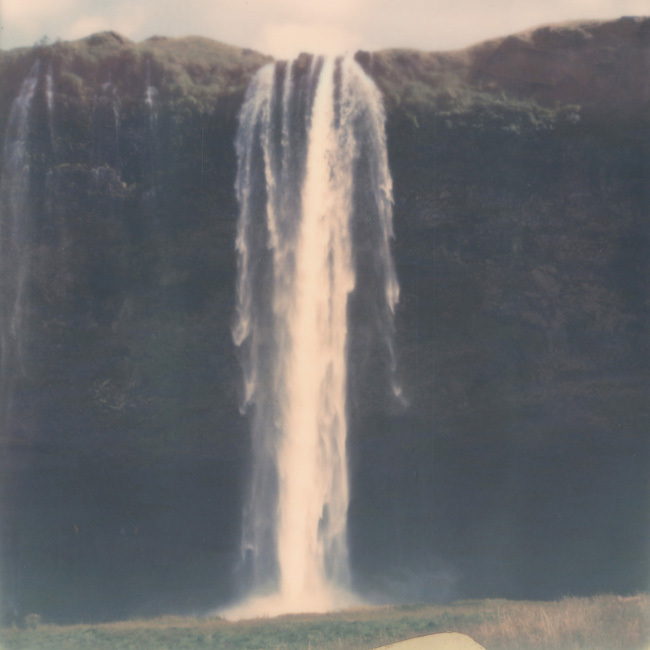 Both were captured with the same SX-70 and Impossible Project film packs, yet there are some notable differences between the two shoots—namely the delicate pastel pallet of the Icelandic pictures versus the warm pink tint of those taken in California. Lambert has a few possible explanations for what might have precipitated the change: it may have been the warm Californian weather, too many trips through airport security x-rays, or the injurious collision of camera and iceberg. In any event, with its soft tones, precise framing, and subtle obscurities, the series is powerfully nostalgic. “We travelled in a tiny car from Reykjavik anti around the island, camping along the way. Geologically speaking, Iceland is the newest country on the planet and making your way through its valleys and volcanoes is almost a ‘how-to guide’ to terraforming. “We walked through this rift that created Iceland, created by the European and American tectonic plates separating. Camping next to Geysir, we met an Arctic fox and felt the rumble of magma as we slept. After traveling miles of gravel road through a lunar landscape we came to the overwhelming, deafening power of the Dettifoss waterfall". “With 24 hours of day, every minute brings a change in light, shifting color and form, creating entirely new scenery. Your eyes almost get screen burn from its vast, unending epic beauty. Iceland was a humbling trip of a lifetime". As Lambert demonstrates in this series, though photography in general might not be the most reliable narrative medium, instant photography poignantly mimics the veiling of memories through perspective and experiences. The experience is clearly important to Lambert, since he engages in all forms of analogue image capturing—from the calm intensity of the 11-second exposure of wet plate collodion, to the cleverly industrious creation of pinholes from beer cans discarded in his hedge by drunks. He superimposes, distorts, manipulates, collaborates, and patiently waits for visual art. And you can see much more of it on his website: www.richardpjlambert.com.